Immediately after I finished at Licensing I went to Wirral Partnership Homes (WPH) Annual General Meeting, which was being held at the magnificent Floral Pavillion in New Brighton. The meeting was extremely well attended with about 100 people present. The Chairman of WPH, Ged Pearson introduced the proceedings and talked of the year gone by and the challenges that the future year(s) will bring. He was followeed by presentations from the Chief Exec, Brian Simpson, and the accounts presented by the Director of Finance, Patrick McCarthy. After that it was over to a lively question and answer session. Once all the formal proceedings were over we were entertained by St Pauls Operatic Society, who whilst being serious injected some humour into their performance. It was then time for a buffet, some networking before the long awaited results of the annual garden competition, which unfortunately I could not stay for. Well done to WPH for organising a really good and informative event. In my role as Cabinet Member for Housing and Community Safety, I look forward to working closely with WPH over the coming years. 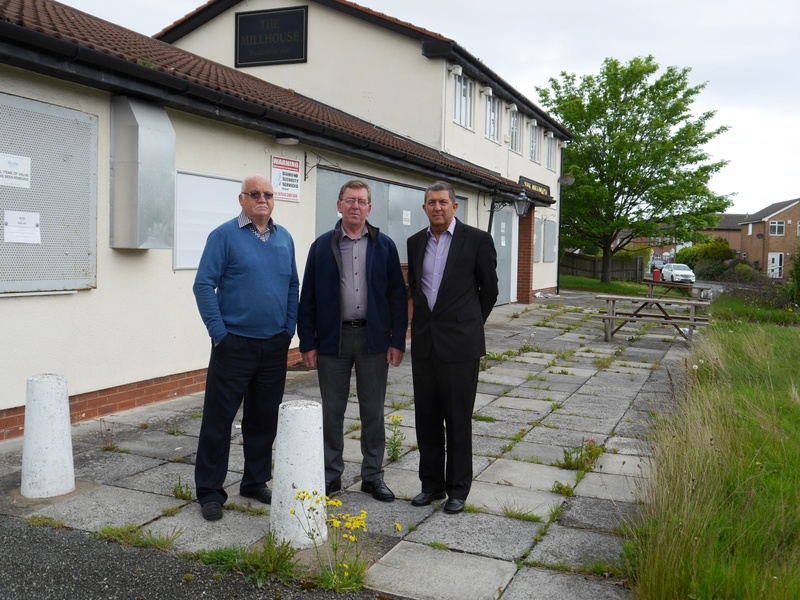 This morning along with my colleagues, Cllr Steve Williams and Cllr Ian Lewis I attended Wirral’s Licensing Panel meeting, which was considering the application made by Michael Howells for a license for the new bar, Crossbar on Upton Road. Ian and I raised concerns emanating from the previous licensing refusal and asked the Licensing Panel to restrict the hours to supply of alcohol until 10:30pm, closing to the public at 11pm each day. However after hearing all the arguments for and against the Licensing Panel granted a licence which allows alcohol to be sold until 11pm each night closing to the public at 11:30pm. I welcome all businesses to Moreton, and I wish Mr Howells all the best in his quest to run the Crossbar and to make it an integral part of the community. He has a big job to convince local residents that this is not a ‘Mini Plough’ as he described this morning. Only time will tell! I have just been notified that a planning application has been submitted for yet ANOTHER hot food takeaway in Moreton. Proposal: Change of use of ground floor of premises from offices to hot food take away. Plans will be available to view on the Council’s website within 2 working days from the date of this email. As you can details at the moment are sketchy, however when the full application is published on the Council website we have have a better idea of the type of outlet. If approved this will become the 12th takeaway in the heart of the village. 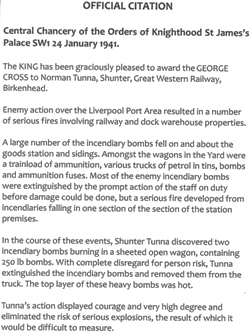 The service was in memory of a shunter, Norman Tunna, who 70 years ago today, during the blitz at Birkenhead Central, carried out an act of bravery that undoubtedly saved the lives of many people and saved countless others from serious injury. 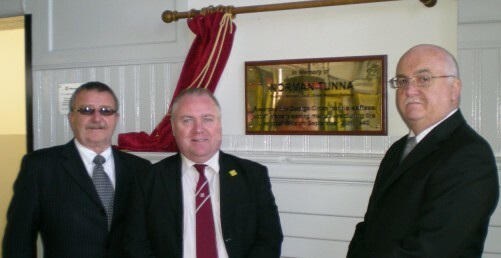 The service was attended by Norman’s Son and Daughter and lots of his relatives who had travelled from many parts of the country to be here, and was conducted by the Reverend Richard Cook, Railway Chaplain for the North West and culminated in the unveiling of a plaque which will be a permanent memorial to him. I would like to thank Merseyrail for organising this service and in particular Sally Ralston who pulled the whole thing together, I would also like to thank the Reverend Cook and all of Norman’s relatives who made the service this morning, one to remember. It really was a shame,and a disgrace that not one of the 10 New Labour Councillors who serve on Merseytravel could be bothered to make the effort to attend this very special service of dedcation in memory of a very brave man! It is a sign of total disrespect of Mr Tunna and his family! So after four wearisome months the New Labour party has selected Ed Milliband as it’s new leader. Bring it on Ed…. As for the also rans it will be interesting to see if Ed wants any of them in his shadow cabinet, and if they are interested in serving under him. It seems the Union votes have produced New Labour’s new leader, and it is the Unions that now unequivocably control New Labour….